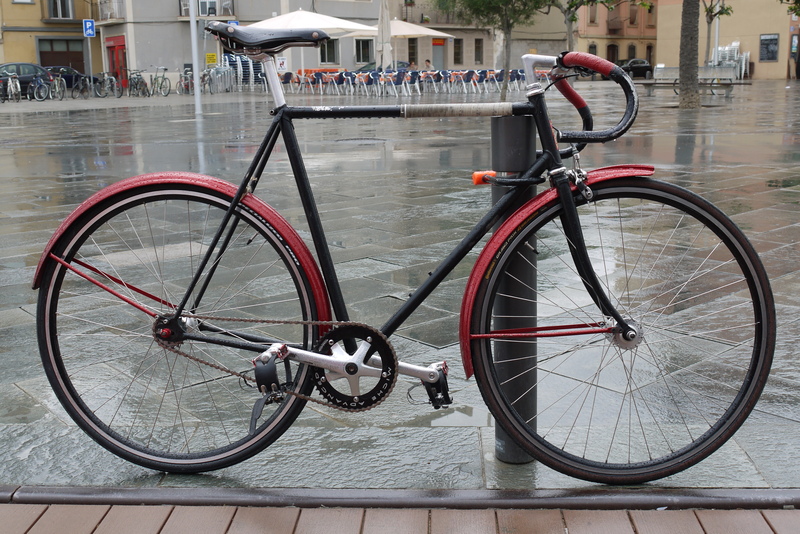 This bicycle is perfect! Everyone knows how uncomfortable it is to ride your bike when it rains. 95% of the times you end up…well…pretty wet, depending on the duration of the ride. But if you look at this bicycle closely you will realised that this wouldn’t happen with it: thanks to its cool mudguard. It works as both a practical feature while it’s perfectly embedded into the bike’s look. Whoever owns this bicycle, it’s a genius. Happy Sunday! I hope it doesn’t rain so you can take your bike out! Yeaahh…, a very bonita bicicleta…! ;) Happy Sunday también!